Professional Information:Security Alarms Systems is one of the leading providers of advanced security systems that meet your needs and fit your modern lifestyle. Our fully automated systems will not only keep out intruders, but they can also provide the power to monitor and control your entire property 24/7. We specialise in designing customised, cost-effective solutions for protecting your property and valuables. Our integrated automation systems allow you to control alarms, cameras, door locks, doorbells and many other tasks. 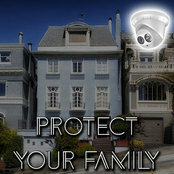 We strive to be the best security alarm system company in Australia. Contact us today and talk to one of our knowledgeable representatives to learn more about us.